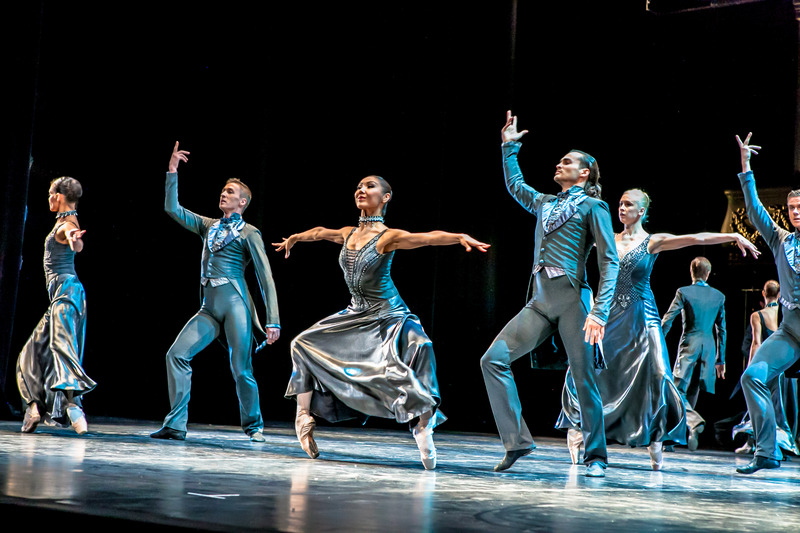 Ever-emerald classic The Wizard of Oz gleams with the polish of new designs, new humour and even new songs. 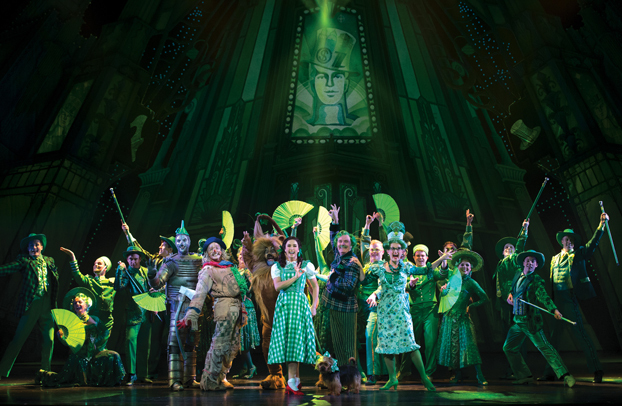 Revived to capitalise on the mania for Wicked, this 2011 London Palladium production is faithful to the movie (and original stage show), whilst also bringing the pacing, humour and staging in line with modern taste. The tedium and bombast of the current Broadway mega-production of Frozen could have been avoided with an adaptation conceived with this much flair and creativity. Only prolific musical theatre composer Andrew Lloyd Webber would have the confidence to tamper with such a well-established and well-loved show, but his machinations are very well placed indeed. All the cherished Harold Arlen and E. Y. Harburg songs from the 1939 film remain in the show, even the stirring background music of Herbert Stothart is still heard. Working with his original lyricist Tim Rice, Lloyd Webber has simply added new songs in select moments, giving musical voice to Professor Marvel, The Wizard, Glinda and Wicked Witch of the West. New songs range from serviceable (Dorothy’s opening lament “Nobody Understands Me”) to upbeat (Wicked Witch and Winkies rock the “Red Shoes Blues’) to sweetly sentimental (Glinda farewells Dorothy with hummable anthem “Home Is A Place In Your Heart.”) The cleverest lyrics come in Professor Marvel’s patter song “Wonders of the World,” which implants the rainbow of colours into Dorothy’s heretofore monochrome psyche. A feature of the music is the rich orchestral sound. Although a couple of the 13 musicians are on keyboards, there is a distinctly “live” sound to the music, with the suite of instruments well utilised for their range of expression. Highly capable musical director Laura Tipoki presides over a well-integrated performance, benefiting from additional support from master musical supervisor Guy Simpson. Lloyd Webber and director Jeremy Sams are co-credited with the new adaptation. With Lloyd Webber on musical structure, Sams is presumably responsible for the nimble pace and the laugh-out-loud humour. As the Australian tour begins its final leg, the cast have their comic timing finely honed. Characters such as Glinda and Scarecrow score plenty of the new laughs, all of which come as a welcome treat considering the completely well-known nature of the story. Beginning in sepia-toned Kansas before embracing the technicolor of Oz, designer Robert Jones has taken inspiration from the rainbow theme to create a signature colour for each land. The Munchkins sport floral designs in cornflower blue, Emerald City’s green art deco cityscape towers overhead, and Wicked Witch favours blood red for her Winkie’s uniforms as she rules from her crooked gothic tower. Jones’ physical designs are enhanced by Jon Driscoll’s video designs. 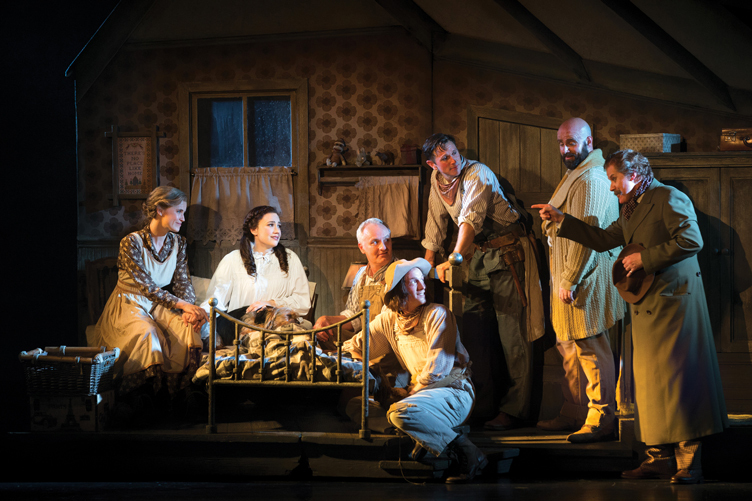 The twister effect is surely the best of its kind ever seen in a stage production of this show. The large scale projection of The Wizard’s sinister face ends act one on an ominous note. 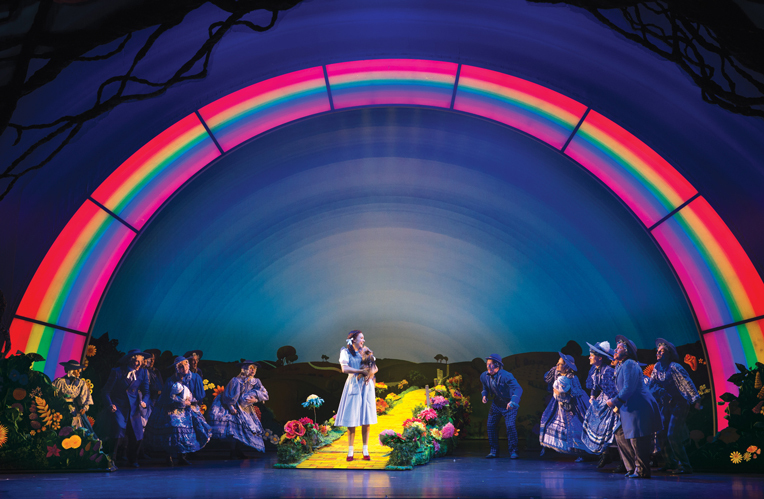 Given that most touring productions that reach Australia can be dwarfed by the mighty Regent Theatre stage, it is very pleasing to note that the scenic elements and special effects of The Wizard of Oz fill the space with terrific impact. The Australian season lands a nifty Wicked link with its casting of leading ladies Lucy Durack (Glinda) and Jemma Rix (Wicked Witch) in roles they have already played in the alt-Oz universe. The undertones of Shiz sisterhood allow sparks fly whenever the ladies face off. Durack nails Glinda’s ditzy humour, and avoids over-sentimentalising final anthem “Home Is A Place In Your Heart” by grounding her lovely singing with heartfelt sincerity. Rix immerses herself in Wicked Witch’s gleeful nastiness, creating such an engaging characterisation that there is a tinge of tragedy to her melting at Dorothy’s hands. Australia’s leading man Anthony Warlow is luxury casting as The Wizard. Famed for his superb voice, Warlow has the chance to display the versatility of his acting dexterous acting talent. 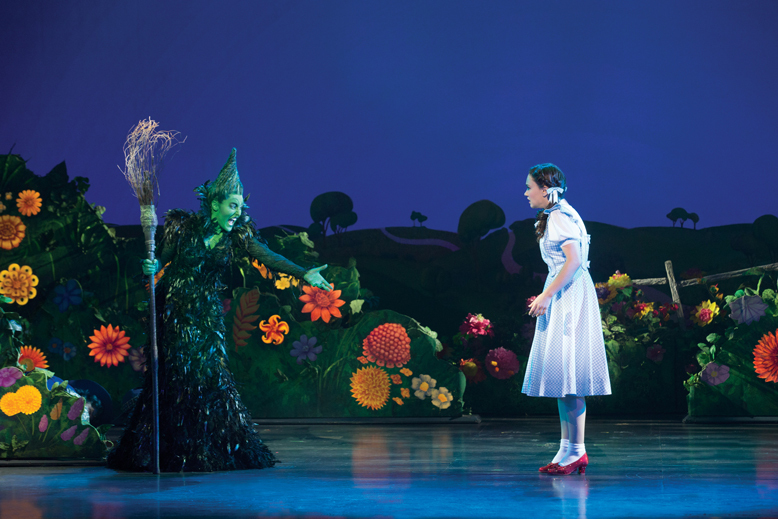 Rather than discover a teenaged performer, the production casts a young adult as troubled teen Dorothy. Samantha Dodemaide captures the chipper pluck of the feisty young woman, underpinned nicely with an edge of vulnerability. Ostensibly the lead but actually the least showy role, Dorothy benefits from Dodemaide’s open expressive face and well-judged energy. Dodemaide’s success in the role is seen in the farewell to Oz, which feels more poignant than previously seen. 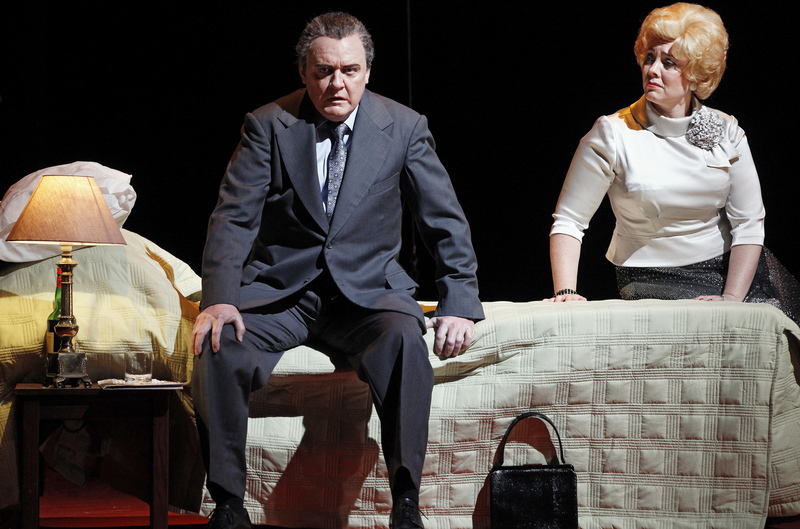 The friends of Dorothy are a redoubtable trio of talents, each making their own stamp on well-established roles. Rising from ensemble work to give a terrific lead performance, Eli Cooper is delightfully daffy as Scarecrow, conveying the floppy physicality and continually bringing fresh angles to the same no-brain joke as the show unfolds. Charming tenor Alex Rathgeber makes a welcome return to the commercial musical theatre stage, bringing lashings of heart to a character who supposedly has none. Rathgeber spices up the Tinman’s I wish song with a nimble tap dance. John Xinatavelonis plays Lion by way of Pumba, adopting an adorable broad Nathan Lane-like voice. 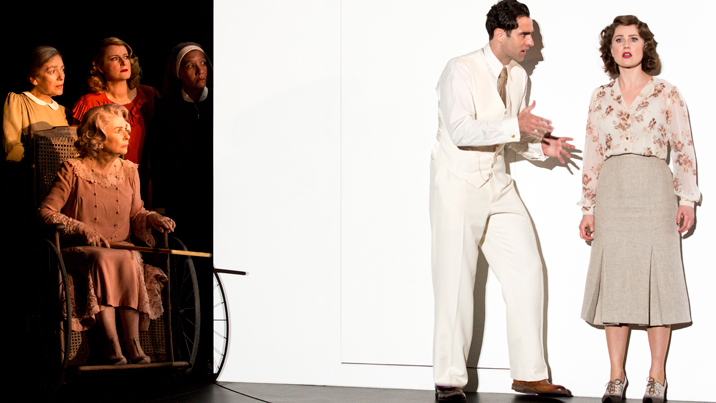 Xinatavelonis shines in the crowd-pleasing role, remaining fully immersed in character through any and all singing and dancing. The versatile ensemble play any number of roles, each of which benefits from their triple threat talents. 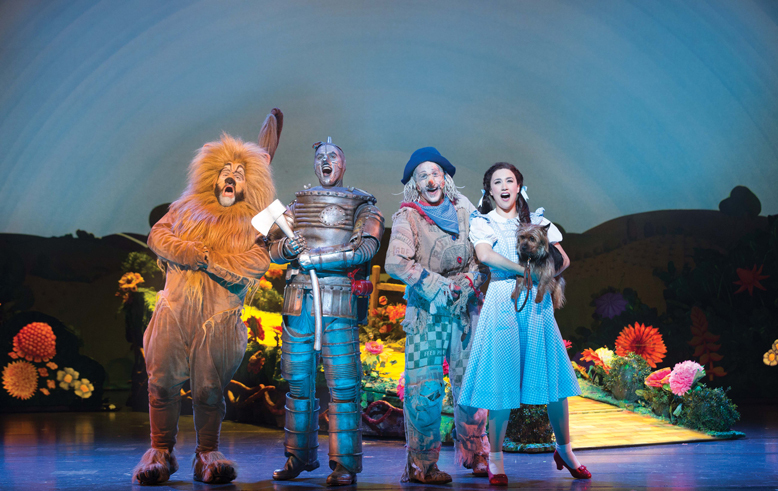 While jaded musical theatre purists might prefer Fun Home or The Band’s Visit, this production of The Wizard of Oz is a simple, family friendly pleasure. The music and spectacle would make an extraordinary impact as a young person’s early experience with the theatre. 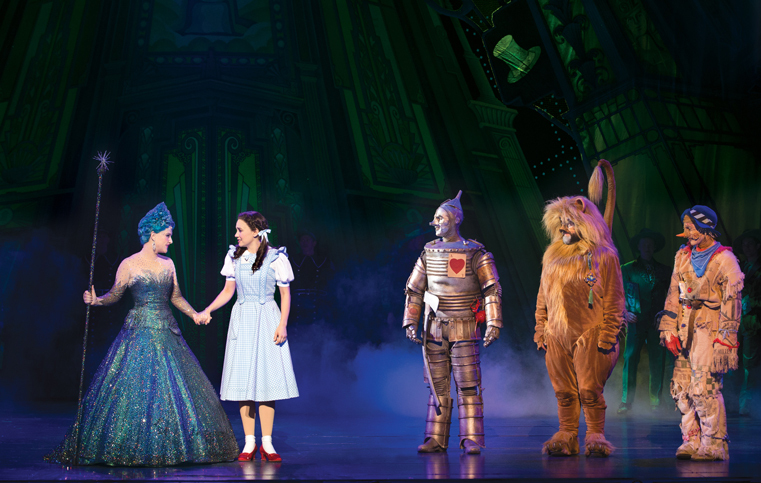 The Wizard of Oz plays at Regent Theatre, Melbourne. Great review, Simon. I doubt that many local reviewers would be able to reference Yip Harburg and Harold Arlen. I can’t believe you are praying a show that trashes all over the American story and musical, and made me ask for my money back due to its offensive gay Lion jokes, and bad humor with the farmhands and Gulch. Webber didn’t need to fix a story that didn’t need fixing. The stage show didn’t need new songs and cue to g songs right and left to put in songs that make no sense to the period or characters. And you don’t need the forshadowing in Kansas as much as he did, also it was a Dream not real you can’t have it both ways a Dream her waki g up in bed and then have the Ruby slippers spear in her cubard. Sorry I am a devoted Oz fan but he destroyed the score and the story.